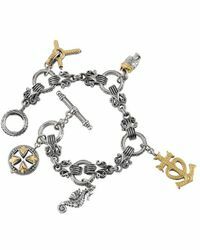 Konstantino is a jewellery brand with a super high-end aesthetic that has attracted fans of stunning design from all-over the world, as well as a number of celebrities. 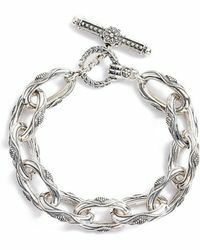 This label produces all its pieces by hand and each one is something of a work of art. 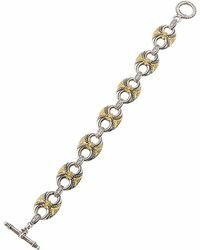 The aesthetic of the brand is certainly classic, with a kind of timeless beauty that makes each one of the designs a stylish investment piece. 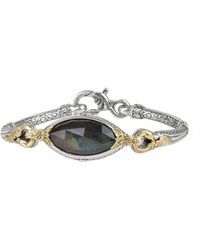 Shop the bracelets line from the brand for silver cuffs with white pearls and 18-karat yellow gold, ornately crafted bracelets featuring topaz and onyx and romantically etched bracelets. 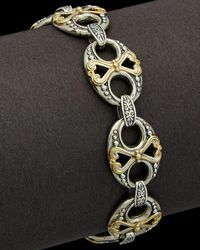 There's a definite sense of the ancient to each of the designs, whether via the carving, the shaping or the overall look. 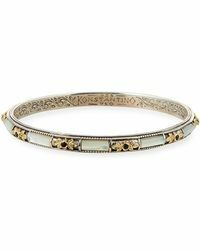 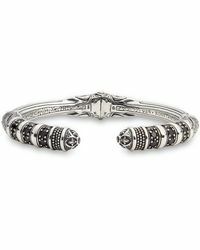 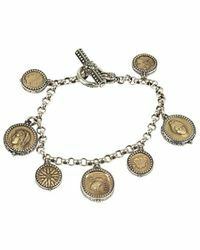 Showing 464 results for "Women's Konstantino Bracelets"